It’s close to the end of 2010, and whilst I still have a trip or two up my sleeve, looking back at the year’s travels seems a good way to start. 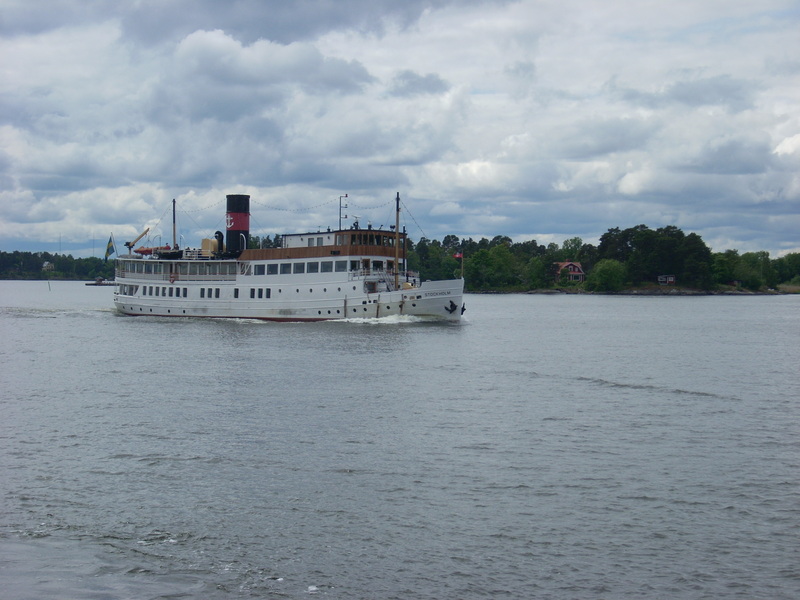 This is the steamer which brought me back from Vaxholm in June ’10. The 14.15 service. Even allowing for a late & large buffet breakfast, by 2.15 pm the tummy was empty. Straight downstairs to the cafe/bar as soon as I was on board. A yummee brie/salami/salad baguette, washed down with 0.4l of equally yummee Åbro. Absolutely hit the spot. You could take the food upstairs on deck, but I enjoyed eating in the cosy 2 table bar, with the engines pumping away next door and the sound of the sea rushing by on the other side of the bulkhead. FUN! I think it was 90SEK. The ship also has a sit down restaurant – also looked like fun, but I didn’t want to eat that much! Service leaves from/arrives at Strömkajen in Stockholm. The 2010 Taylor award for best accommodation goes to the Athens Gate Hotel in Athens. Even better than it was described on its website. The Mill of Eyrland in Orkney deserves a wee mention for being a top class runner up. All that is good in a Scottish bed and breakfast. The best flight experience – well, I had a few Easyjet, Ryanair & BA flights, so they can be eliminated very quickly. The winner would have to be Aegean Airlines from Athens to Brussels. On time, comfortable, an in-flight movie, good food and friendly staff. The best “other transport” experience? OK, I’ll disqualify the s/s Storskär as it has won an award already. Again, plenty candidates. Amtrak from New York to Washington? The ferry to Orkney? The ferry from Malta to Gozo? But one stands out. My trips into and out of Ingolstadt in the sidecar of Rosi’s vintage Vespa. Unforgettable, and a tremendous spectacle for all who saw it! The best food whilst traveling (I’ve had plenty in and around breadandtea’s World HQ) has plenty of candidates. The Dock in Montauk? Sa’ha’ra in Stockholm? Skipjacks in Baltimore? The Realdo Enoteca in Soave? I reckon it has to go to The Dock. 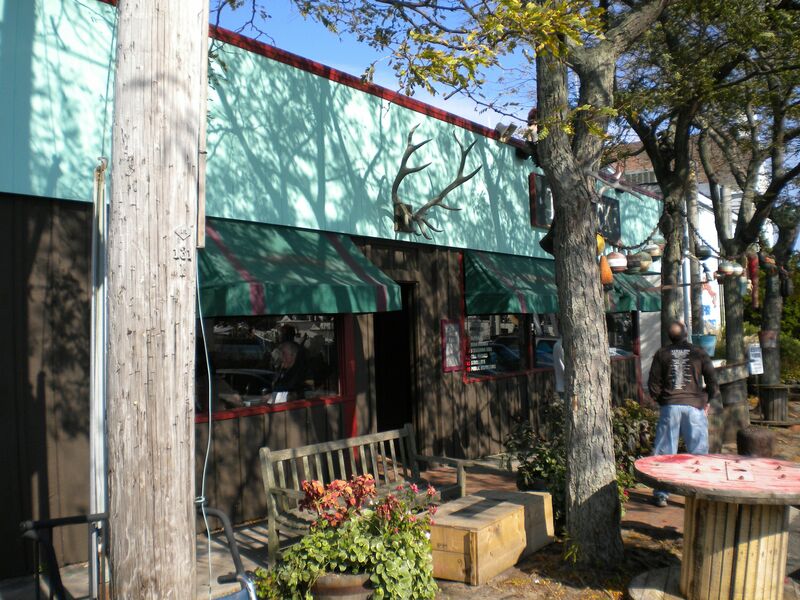 Quirky, lovely location, good food. It had it all.